Work from Home with Wayfair! Hiring for the Munster region! As a Work from Home Sales & Service Consultant you are the first point of contact for our UK customers by answering their contacts by phone or email. You will support our customers in relation to their orders, products, payment processing and problems that they are encountering. 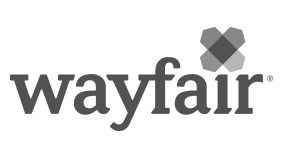 To achieve the best possible result for our Wayfair customers, you will partner with other departments, supplier and logistics stakeholders to drive continuous improvement in delivering a world class experience. All done from the comfort of your own home. Great office space? Well as great as you want to make your home right and we can help with an Employee discount on all our products! But forget the long commute time, petrol & transport costs and when you have finished your day you are already home!